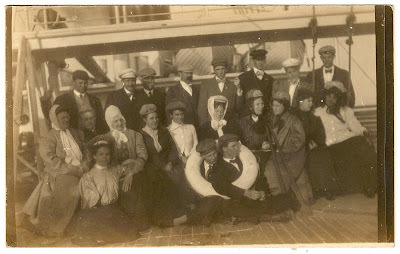 Unknown Oklahomans on an unknown ship. 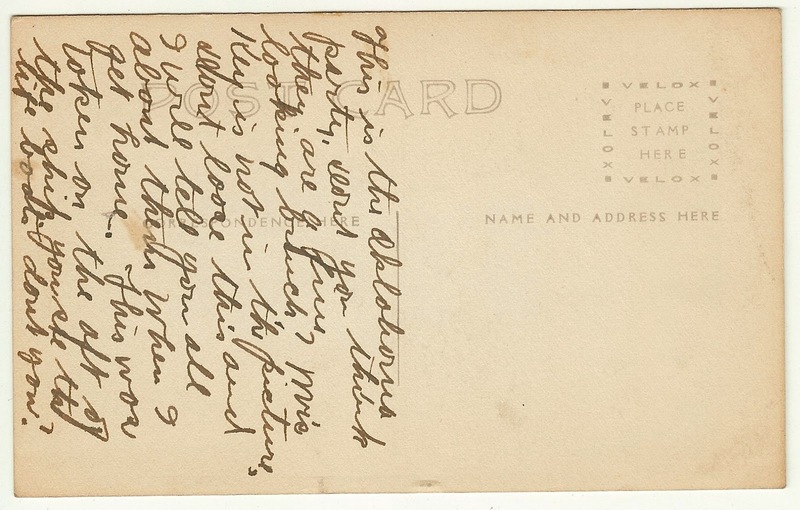 An unsigned, undated, and unmailed post card from the collection of my great-grandmother, Jessie Burrows Benton. This is the Oklahoma party. Don't you think they are a fine looking bunch? Mrs Key is not in the picture. 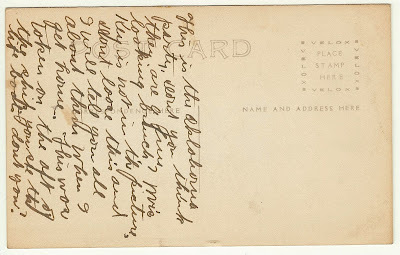 Don't lose this and I will tell you all about them when I get home. This was taken on the aft of the ship. You see the life boats don't you? Nice photo, I love the hats and the two heads in the life buoy!